A pinkish tan powder and colour can very from pink to tan. It is a strong colorant and almost always produces blue in glazes (unless in very high percentages where it is black). Cobalt carbonate is an extremely active melter (even more than cobalt oxide), in a mix of 50% Ferro frit 3134 it will boil at cone 6. The carbonate form of cobalt is very fine grained and disperses better in the glaze slurry and the glaze melt, it gives a more evenly distributed colour than cobalt oxide. However, as with any carbonate, it produces gases as it decomposes and these can cause pinholes or blisters in glazes if they need to escape at the time when the glaze needs to solidify. 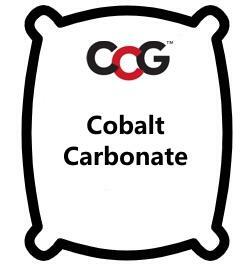 The carbonate form contains less CoO (63% CoO vs. commercial cobalt oxide which is not actually 100% CoO but around 93%). The theoretical oxide form has 93% CoO while this has 63%. So if you want to switch from the oxide to the carbonate in a recipe, multiply by 93 and divide by 63. To switch from carbonate to oxide multiply by 63 and divide by 93. But remember that this will be approximate (for reasons discussed above and on the cobalt oxide page), you will likely need to fine tune the amount based on fired results. In addition, the quality of the colour may be different. Consider using a stain as a better solution. 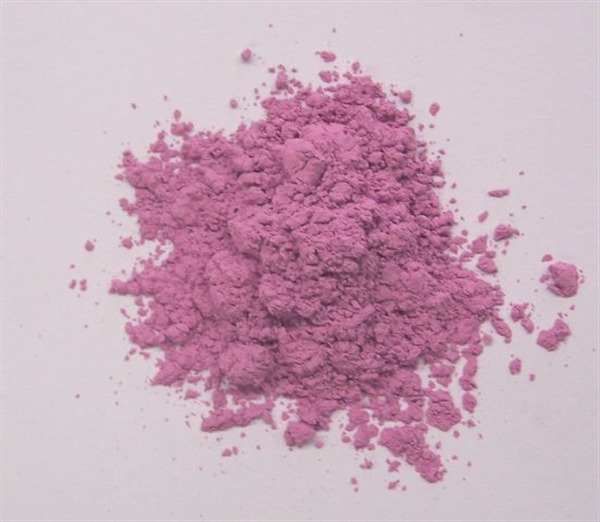 The carbonate is produced from a liquid reaction between cobalt II acetate and sodium carbonate to produce red violet crystals that are recovered by filtration. The material is insoluble in cold water but will decompose in hot water.